I tried posting just one picture…but now there are three. I’m so glad there are three. They are all more than worthy-such grace. Thanks as always, Elena. I appreciate your kind words. The Foot, The Flame, and The Crown. Good title for a book. I think it happens that way. Particularly like the second and third so I’m glad you did. Yes, the images suggest their own rhythm sometimes! Ooohh, so glad you posted all three of these lovely photos! Beautiful. All good things come in 3s! Yes, I guess you right about 3’s! As always I’ve been fascinated how on earth you managed to find those images. They are the image from the nature though you created another world. 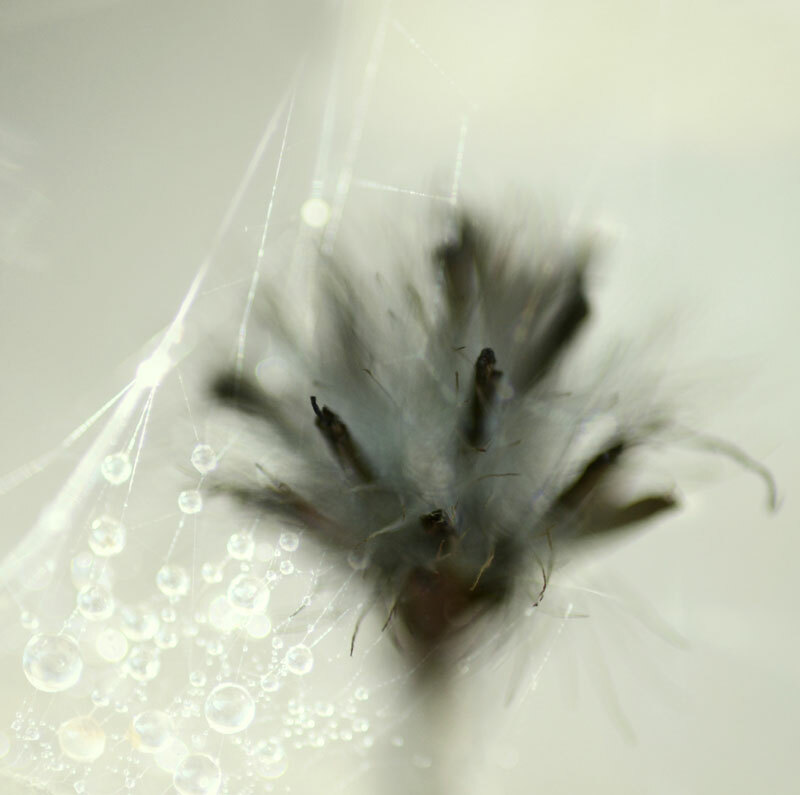 It is a seed head from a flower and a spider web covered in dew. So yes, “beads on silk” is a good description. Very poetic! all 3 are ethereal and the go so beautifully together! Lovely work! As usual these images are lighter than air. You are a master with the light. Fantastic images. Nick, thank you so much. Your words are exceptionally kind! That first one is so surreal I can’t figure out what it is. It could be plant or animal. It is indeed plant! 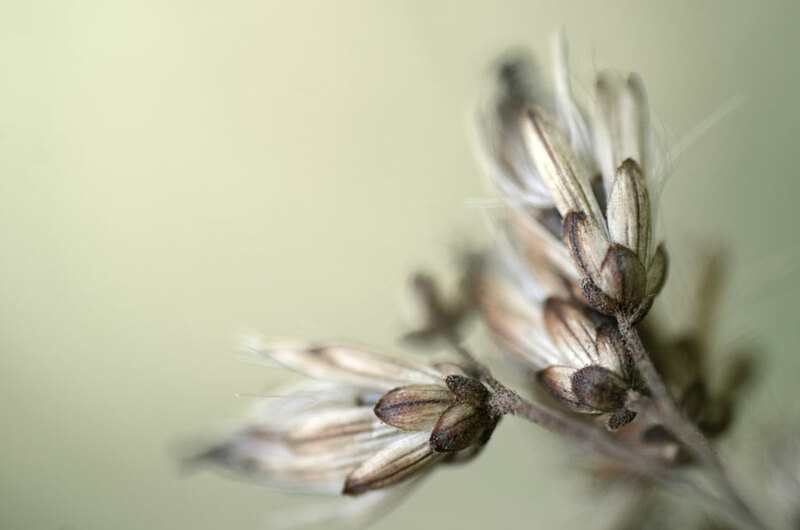 But the seed heads do get kind of fur-like, don’t they? Amazing, Karen. Lots of depth and movement. So delicate…beautiful. I absolutely love the second shot. Much appreciated, Scott. Thank you. So beautiful. The relation between water drops and a flower is very impressive. I’m glad you failed on posting just one because they are a wonderful trio indeed! … which stands as evidence to the fact that some pictures have a mind all of their own… Very nice. Louis, Thank you. It is a bit tricky getting the right focus on something so tiny. Karen! These are breathtaking. Some of my very favorites. Lovely! At first glance, I thought the first flower was draped with lace. Natures lace, I suppose. Thanks very much. Well, I won’t complain for getting three :). Lovely ones, again! Well they belong together – a great trio written in light. Erica, thank you. A pleasure! Thank you, Antonio. You are most kind! It is a good word, thanks for applying it to my work. Much appreciated, Helen! the first one – magical! That first image – absolutely perfect! Beautiful work Karen! Wow! Great series. My favorite is the third one. Actually all of them are my favorite. So soft and dreamy. Thanks for your very kind comment, Subin. Wow! I’m glad you posted three! 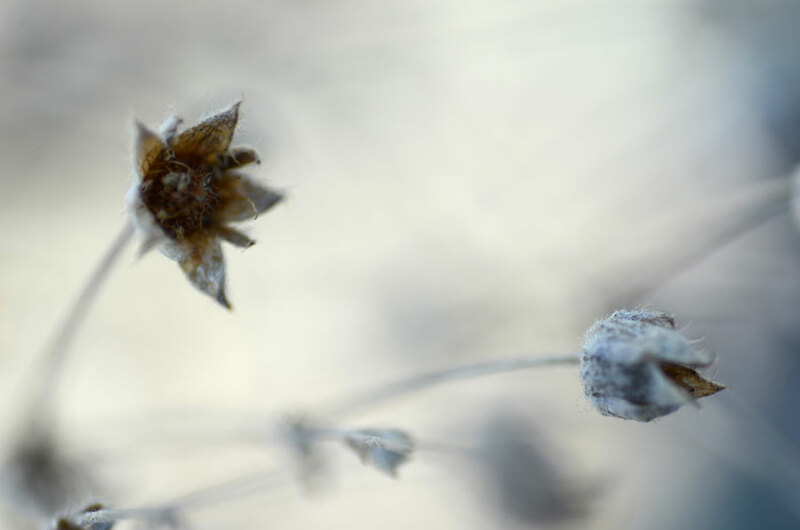 These are gorgeous and equally as stunning as the other photographs in this series… This is truly an in depth study and it’s mesmerizing to see what your eye sees. Great work!